Cupcakes are an item that brightens my day. This Vegan Lemon Cupcake recipe has a light citrus flavor and a nice balance of sweetness. It is topped with a Vegan Lemon Buttercream and a Candied Citrus Zest. 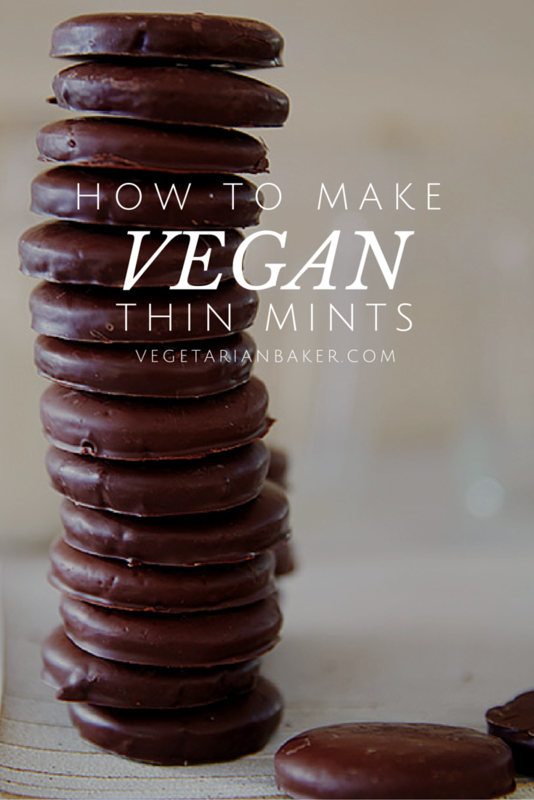 This recipe will impress all of your friends, vegan or non-vegan. If you have recipe you would like to see me make, let me know in the comments below. Let me know of what you think of this recipe on via twitter or instagram (@vegetarianbaker & #thevegetarianbaker). 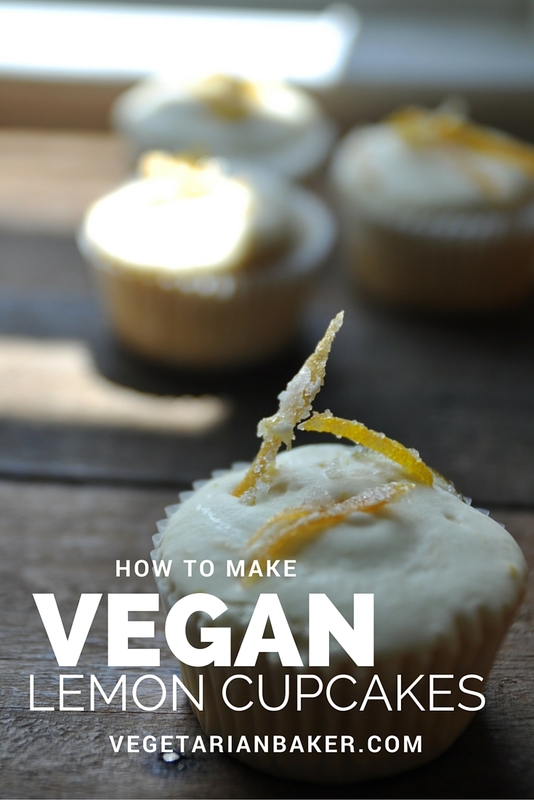 A vegan cupcake with a light citrus flavor for all to enjoy! Whisk together the almond milk and lemon in a small mixing bowl. Set aside. Whisk together the flour, baking powder, and salt in a separate bowl. Set aside. In the bowl of a stand mixer with a paddle attachment, cream the vegan butter and sugar on medium speed for a minute. Add the vanilla and lemon zest and beat for one more minute. Add a third of the flour mixture and beat to incorporate fully, then add half of the milk and beat until smooth. Repeat with another third of the flour mixture, the remaining half of the milk, and then the final third of the flour mixture. Beat for another about 60 more seconds, or until the batter is smooth. Scoop the batter into the liners until they are 2/3 full. Bake for 20 to 22 minutes, or until a toothpick inserted into the center of a cupcake comes out clean. Make sure to allow the cupcakes cool completely before frosting. Cream the vegan butter, vanilla, sea salt, and lemon zest on medium-low speed for 1 to 2 minutes in a stand mixer with the paddle attachment. Add the lemon juice and mix until combined. Slowly add the powdered sugar one cup at a time. Once all sugar is added, beat on medium speed for 3 to 4 minutes. 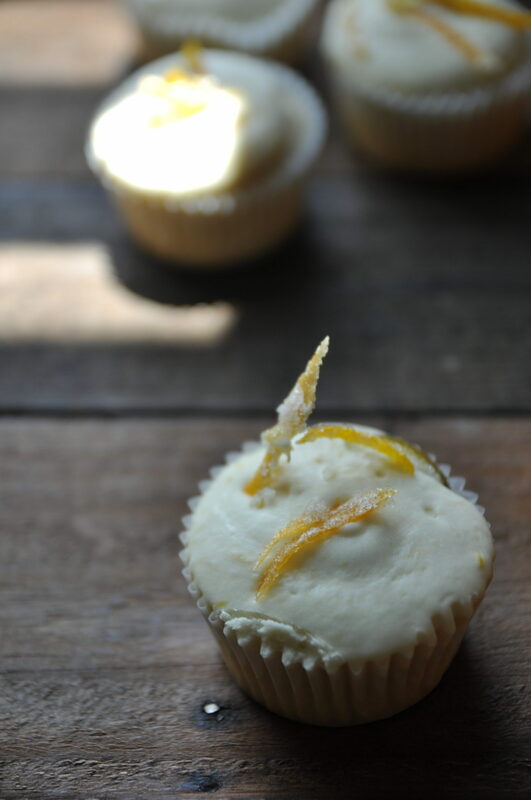 Frost the cooled cupcakes and garnish with the candied citrus zest.